Sure! Why not? 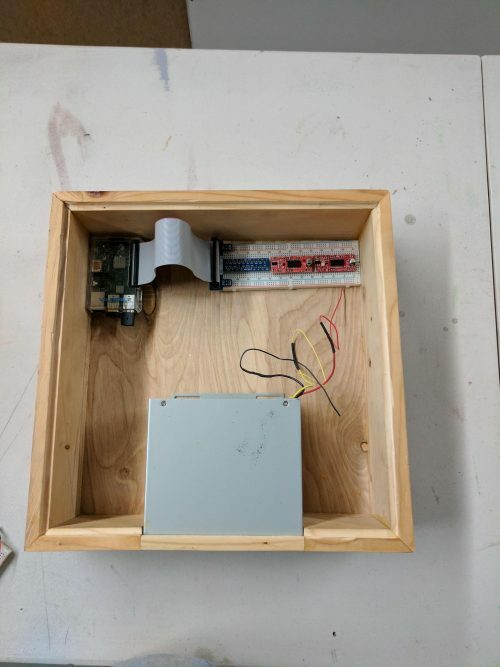 Tucker had already put the knowledge he acquired while studying at Oregon State University to good use by catching a bike thief in action with the help of a Raspberry Pi. 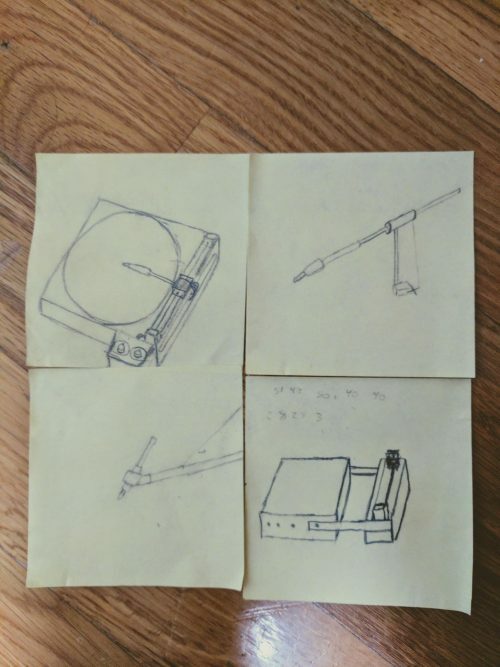 Thus it’s obvious he has the skills he needed to incorporate our little computer into a project. 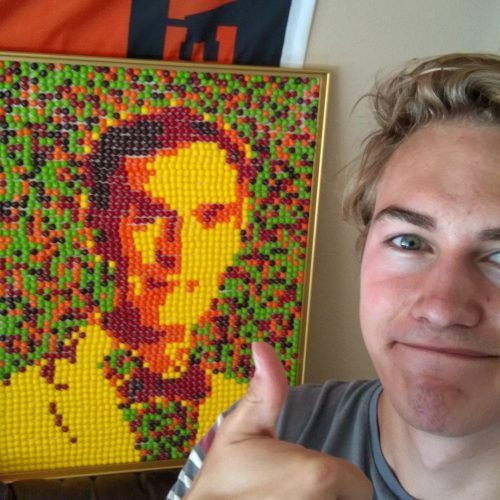 Moreover, his Skittles portrait of Bill Nye is evidence of his artistic flair, so it’s not surprising that he wanted to make something a little different, and pretty, using code. What’s with all the spinning GIF’s? I’m getting dizzy. I’m working on a beerglass engraver. HW is a raspberry zero w for the high level stuff / interface / wireless interface, which has a serial connection to a board which is made by the company i work for ( dci electronics ). The only thing used on this board is the atmega168 controller. I could have used any arduino board for this, but i had this board around. That connects to 2 stepper motor drivers DRV8825 carrier boards, for x and y axis. Then i have an experiment pcb for power supply and a transistor which turns a dc motor on and off, for the actual engraving tool. HW is finished. I’m coding for the atmega168 now to accept cnc commands, most commands i need are implemented. So, hw setup looks a lot like tucker’s desing, but i have the atmega168 controller in between to meet the real time requirements. 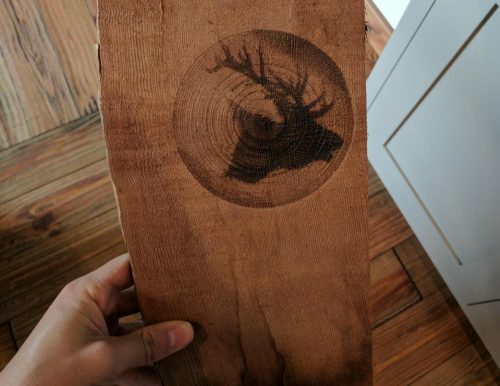 That’s not there in tuckers design, but i guess wood burning is a relative slow process without realtime requirements. Mail me if you want a movie of it operating. No text yet, but straight lines are working. Nothing to publish yet, leave that until I’m finished …. 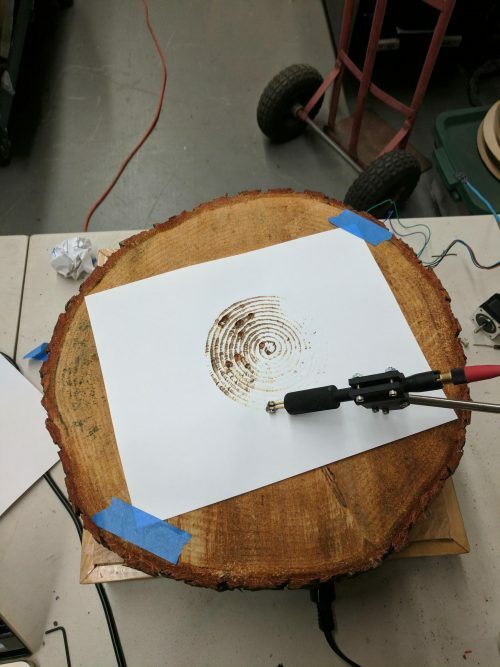 CNC machines too expensive? Build your own!